To help address this, the UK based Racing Foundation awarded a grant of just over £200,000 to support a ground-breaking, nutritional intervention programme developed over three years by a specialist team at the Research Institute of Sport and Exercise Sciences at Liverpool John Moores University. 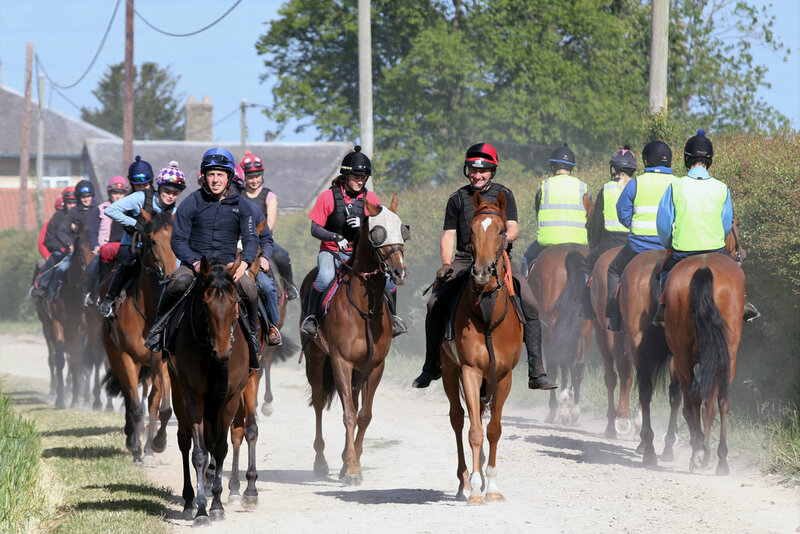 The team is led by former jockey, Dr George Wilson, and includes the head of nutrition for cycling’s Team Sky, Dr James Morton, and Daniel Martin, a doctoral researcher and high-performance nutritionist for the Professional Jockeys Association. Dr Wilson has already spent seven years (part-funded by the Sheikh Mansoor Racing Festival) researching the serious health implications of extreme weight-making practises in jockeys and has designed healthier, alternative weight-making programmes. In addition to offering the facilities at the University to measure bone and body composition, hydration, metabolism and provide strength and fitness assessments, he also works with racing organisations to provide workshops, tests, presentations and bespoke advice. He is in the ideal situation to conduct research into the health issues faced by racing staff, having ridden as a National Hunt jockey in his younger days. “For my first ride as a conditional jockey at Southwell in 1985, I lost a stone in five days to make 10st (63.50 kg) minimum weight, felt awful and, given the occupational risks, I shouldn’t have been near a horse, let alone riding in a race,” he reflects on his experience. He later rode as an amateur mostly in point-to-points and hunter chases when weight became a problem. “Having ridden over jumps, I fully empathise with staff and understand the need for, and risks from, dehydration and starvation. Riding out stable staff are weighed in some yards and most vacancies are advertised with a maximum weight, so making weight is not just a problem for jockeys but also for a lot of racing staff. Currently, Dr Wilson is studying the effects of diet, dehydration and bone health of jockeys, but, as he recognises, comparisons of bone density between standard 12st athletes and 9st, (57.15 kg), jockeys may have potential flaws given jockeys are an atypical population, being much smaller athletes. Furthermore, unlike other athletes, jockeys don’t tend to perform substantial hard surface training that helps maintain healthy bone metabolism.